After qualifying as a doctor from Imperial College in 2001, my year group organised a special graduation celebration ceremony where we all had the opportunity to recite a modernised version of the famous Hippocratic Oath. It was a lovely day and everyone that attended left bursting with pride at our collective achievements and full of optimism for our future careers as doctors. The Hippocratic Oath is one of the oldest binding documents in history and gives a newly graduated doctor the opportunity to swear to uphold a set of professional ethical standards. It is the earliest expression of medical ethics in the Western World and established several principals of medical ethics which remain of paramount significance today. The document is generally attributed to Hippocrates, also known as Hippocrates II, although some argue that it may have been written after his death. So, who was Hippocrates, the man to whom this oath is attributed to in its original form? A 12th-century Byzantine manuscript of the Hippocratic Oath, written in the shape of a cross. Hippocrates is thought to have been born around the year 460 BCE on the Greek island of Kos. Very little is known for sure about Hippocrates and his life in general, and most of the historical data about him was written long after his death. His principal biographer was Soranus of Ephesus, a 2nd-century Greek physician. According to Soranus, Hippocrates’ father was the renowned physician Heraclides, and his mother was Phaeniarete. He is thought to have also had a brother called Sosander. Hippocrates is believed to have learned the art of Medicine from his grandfather, Hippocrates I, and his father, Heraclides. The majority of his medical training almost certainly took place at the asklepieion of Kos. He was well educated, and Soranus states that he also studied philosophy under Democritus, who is famous for his formulation of an atomic theory of the universe, and the sophist Gorgias. At the time when Hippocrates began to practice medicine, the established school of medicine was the Cnidian school. The Cnidian school considered the body to be a series of isolated parts and was primarily interested in the local character of disease. Hippocrates, however, believed that the body should be viewed holistically and that more attention should be paid to the general character of disease. Hippocrates is believed to have established the Koan school of medicine, which is often referred to as the Hippocratic school of medicine for this reason. This school focused far more on the patient and the evaluation of physical signs than the Cnidian school, and Hippocrates established a rational approach to medical treatment based upon this close observation of the patient. Hippocrates is credited with the development of the theory of the four humors and believed that good health depended upon a harmonious balance between these four humors. It is likely that the famous Greek philosophers Galen and Aristotle also later contributed to this theory though. The four humors were yellow bile, black bile, blood and phlegm. Each humor was associated with a particular element (earth, water, air or fire), two “qualities” (cold, hot, moist, dry), certain body organs and certain ages (childhood, adolescence, maturity, old age). Hippocrates and his followers were the first physicians to describe many well known medical conditions and Hippocrates is famously credited for the first ever description of finger clubbing, which is an important clinical sign associated with certain heart and lung conditions and is often referred to as ‘Hippocratic fingers’.He is also attributed as being the first physician to scientifically categorise diseases according to different aspects of their presentation and epidemiology. He is believed to have been the first to use terms such as acute, chronic, epidemic, endemic, paroxysm, relapse, exacerbation and many other terms commonly found in current medical language. Perhaps the greatest achievement of Hippocrates was the Hippocratic Corpus, a collection of approximately 70 medical documents containing lectures, descriptive texts, research, and medical cases. These are almost certainly not just the work of Hippocrates alone and are perhaps better attributed to the physicians of the Hippocratic school in general. The most famous document of the Hippocratic corpus is the Hippocratic oath itself. In addition to the medical documents, the Hippocratic Corpus also contained groundbreaking works on meteorology, climatology, geography, and anthropology. 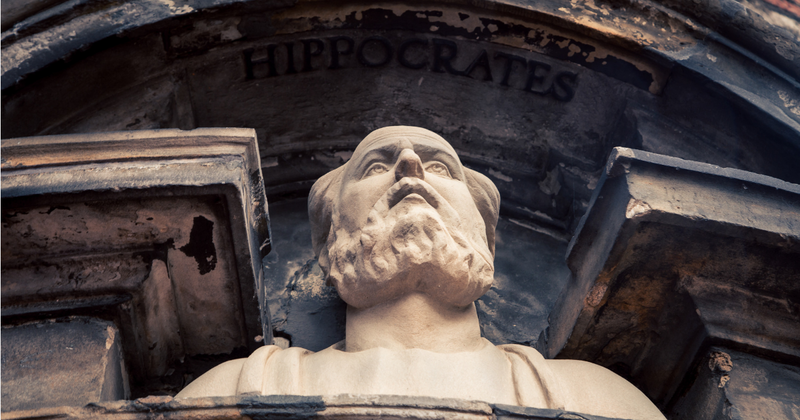 Hippocrates was famously wise, caring, compassionate and honest. Even if the Hippocratic was not written by him directly, the ideals shared within it almost certainly represent his character and beliefs. 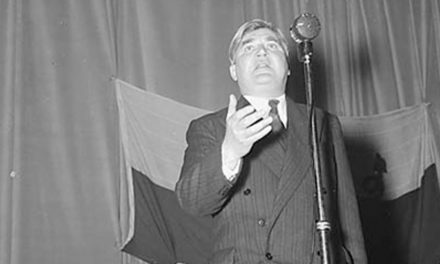 The ethical standards he lived by still inspire doctors to this very day. His contributions to the practice of medicine and the scientific method revolutionised medicine at the time and because of this he is widely considered to be the ‘Father of Medicine’.